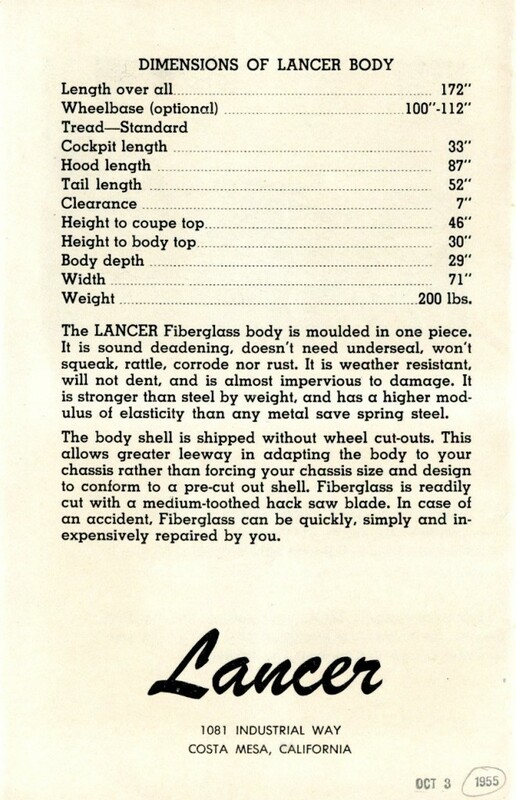 We try and keep a full head of fiber-steam going here at Forgotten Fiberglass. 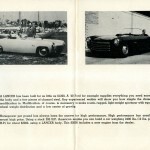 One of our goals is to share all the literature each of these companies produced and printed in the ‘50s and ‘60s. 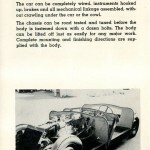 And I think we have to do this because if we don’t share here – you may never see these pieces at all. 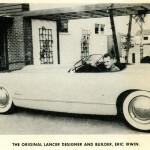 Take, for instance, Eric Irwin’s Lancer. 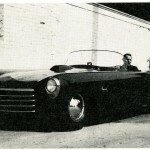 Irwin’s company was producing bodies from 1951 thru 1956 at which time Eric moved to the Seattle, Washington area. 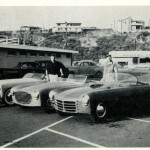 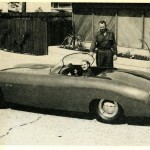 During that time his company produced approximately 6 complete sports cars and 6 bodies. 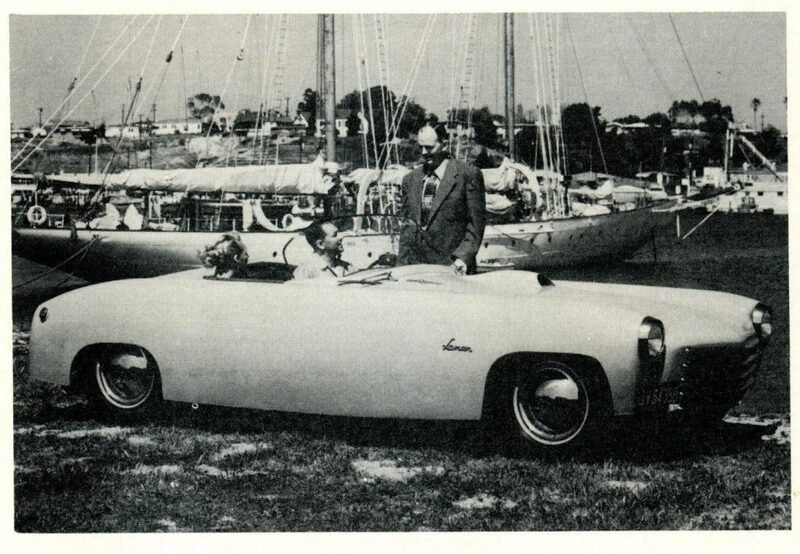 How many brochures could he have produced to support such a small company and how many of these same brochures would be left over 50 years later? 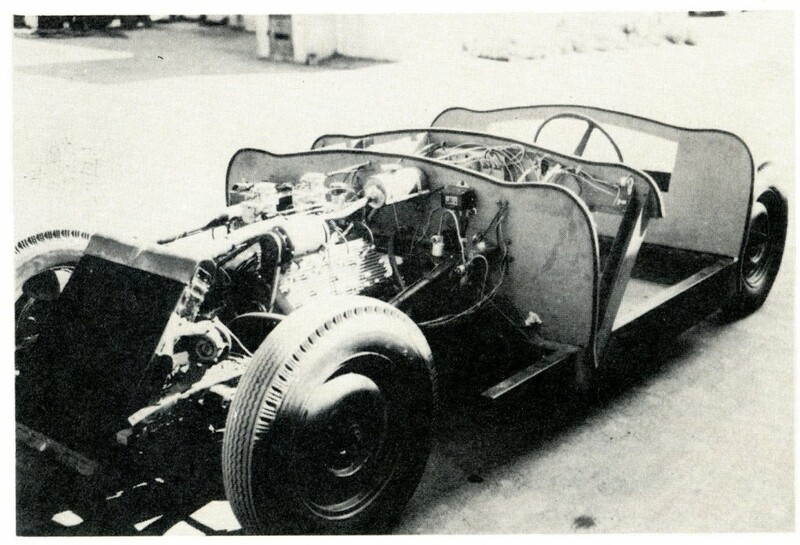 The answer….very very few (if any). 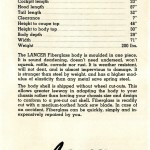 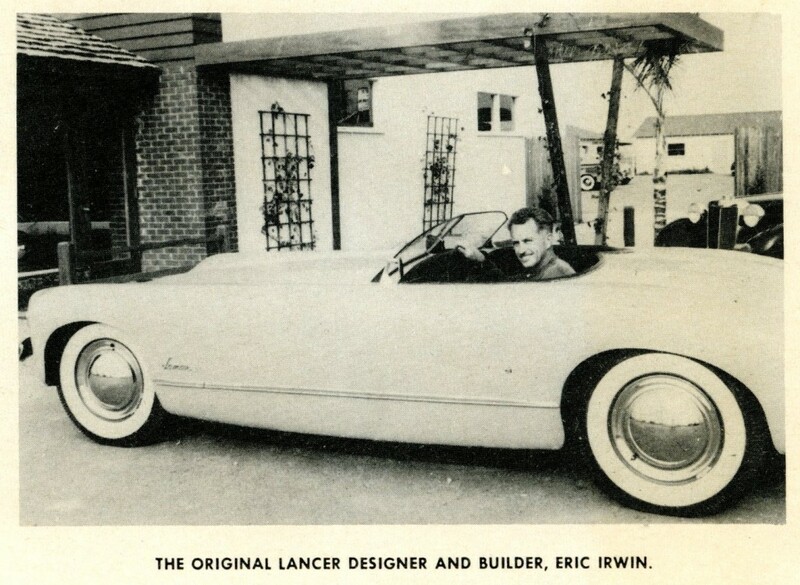 So it makes sense to share and share alike in the hopes that all of you who are interested can find enjoyment and appreciation for companies the size of Irwin’s Lancer company – which was typical in size and production of nearly all of these small cottage-based industry organizations which produced fiberglass bodies and sports cars to sell to the American public at large. 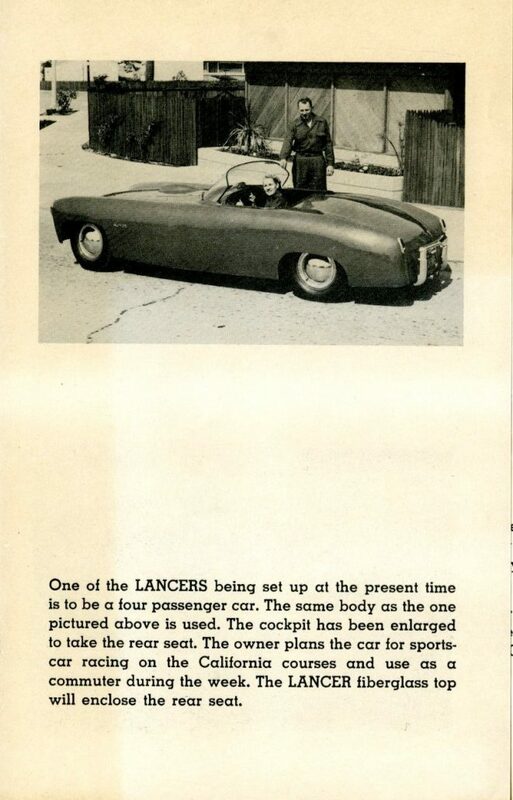 With that, let’s have a look at the Lancer brochure. 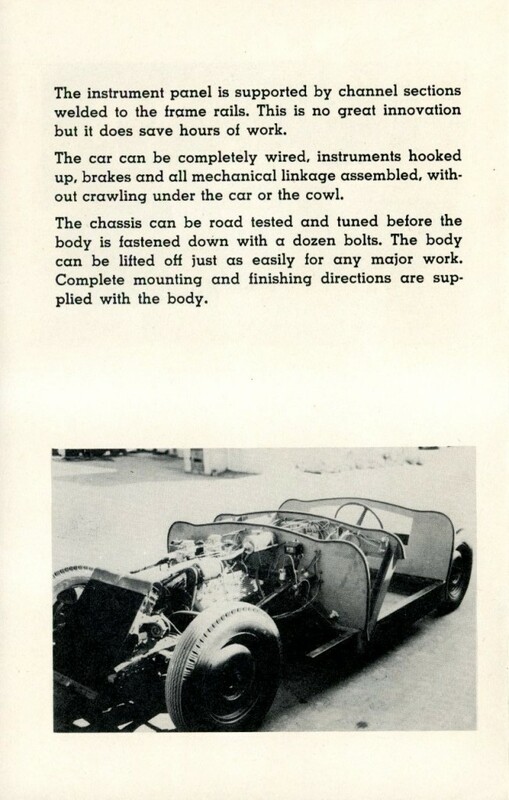 Although this brochure is dated from October 1955, it may have been something Eric had producing for 2-3 years. 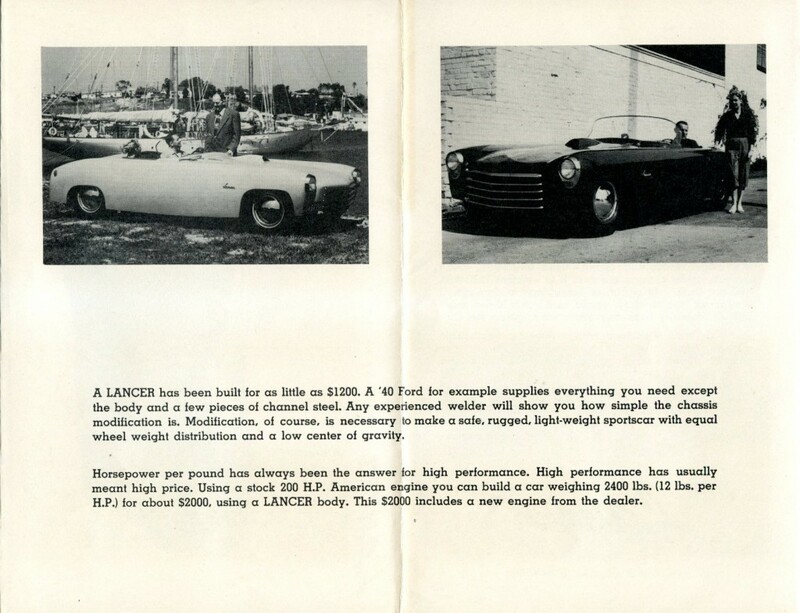 We know that his first Lancer style debuted in May, 1951, and that the second style was in development and was shown in photos in Motor Trend Magazine in December 1952. 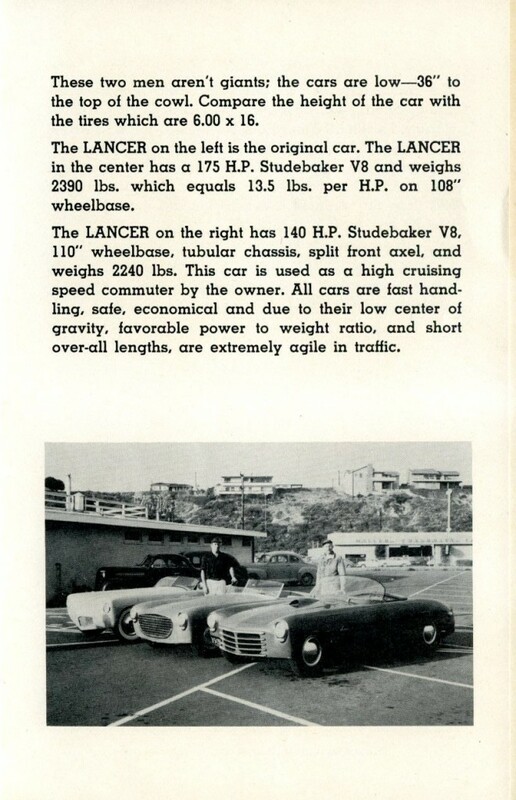 So the earliest this brochure could have been printed would have been sometime in ’53, but our estimate still is a 1954 start date. Research continues…. 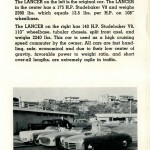 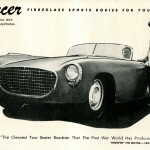 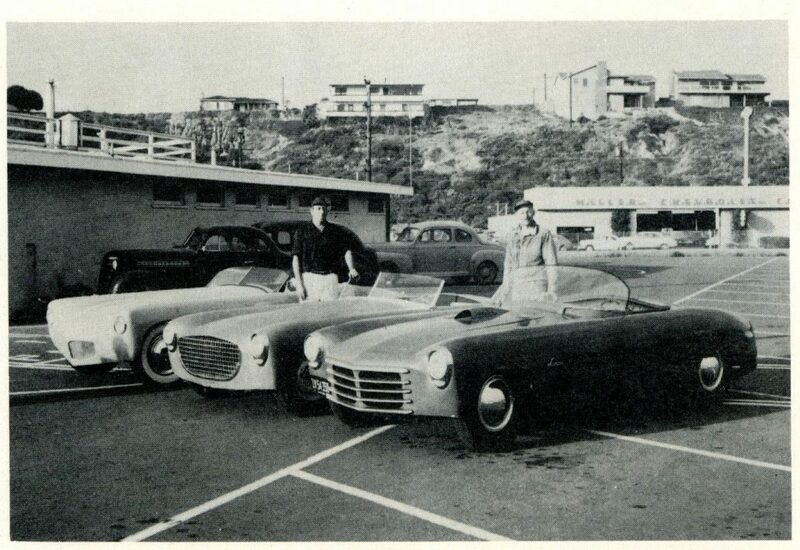 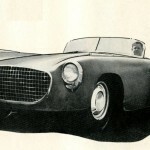 Three styles of Lancers are shown in this brochure – one of them is Irwin’s 1951 Motorama car – still missing to this day. 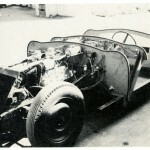 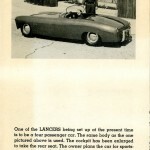 A fourth Lancer style – not shown in this brochure – was produced and pictures of it were obtained from Eric Irwin’s nephew – Brian Jennings. 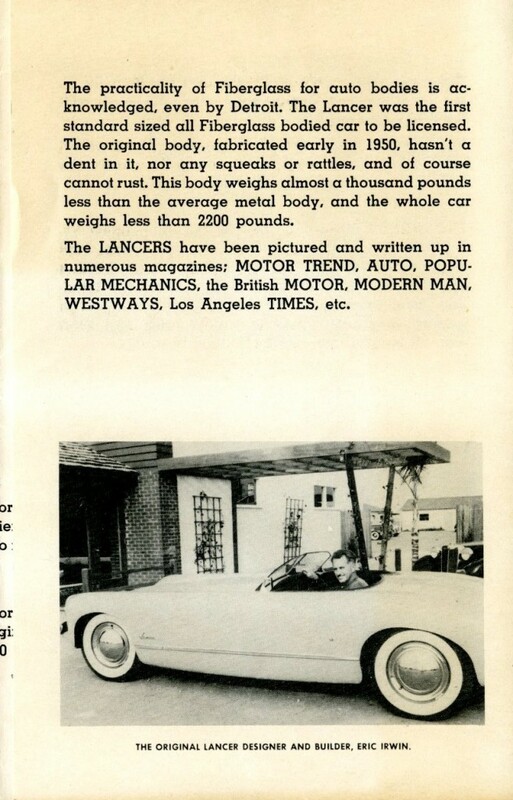 Happily, this car does still exist bringing the number of Lancers that have been found to “two” with “ten” still unaccounted for at this time. 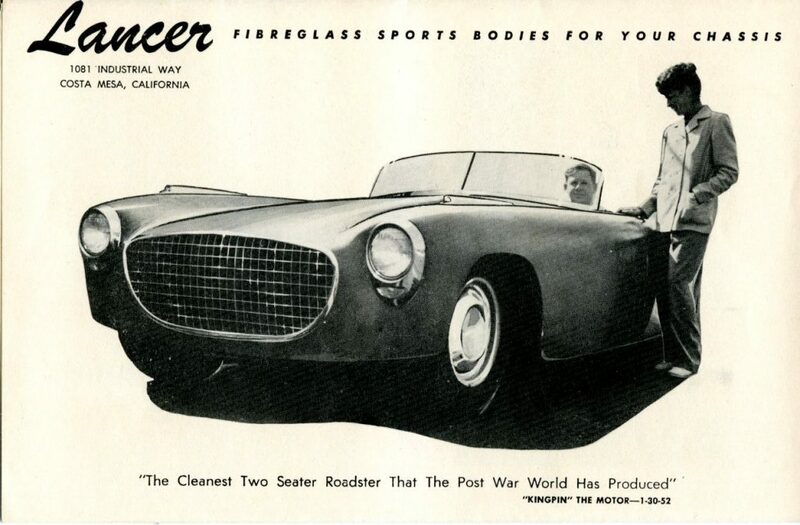 Will you be the next person to find one of these rare fiberglass sports cars from the dawn of the fiberglass sports car era? For all that it is a large car the Lancer’s have some very nice lines, and a lot of good thought and engineering went into designing the build process of the car. 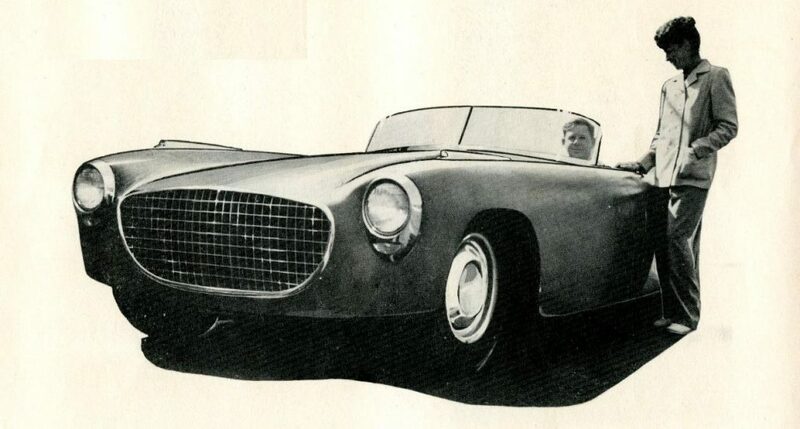 Neat and sensible, it is a real shame that there were so few cars produced. 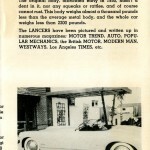 Sad part is producing brochures and literature back in the day was much more expensive percentage wise than now days. 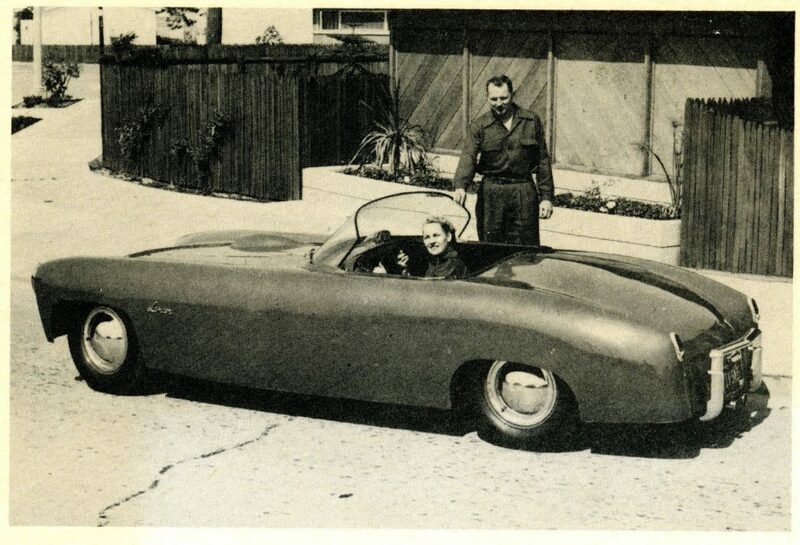 Had the internet been a tool that 50’s designers and builders been able to use, chances are there would have been many more of those interesting small volume cars built. 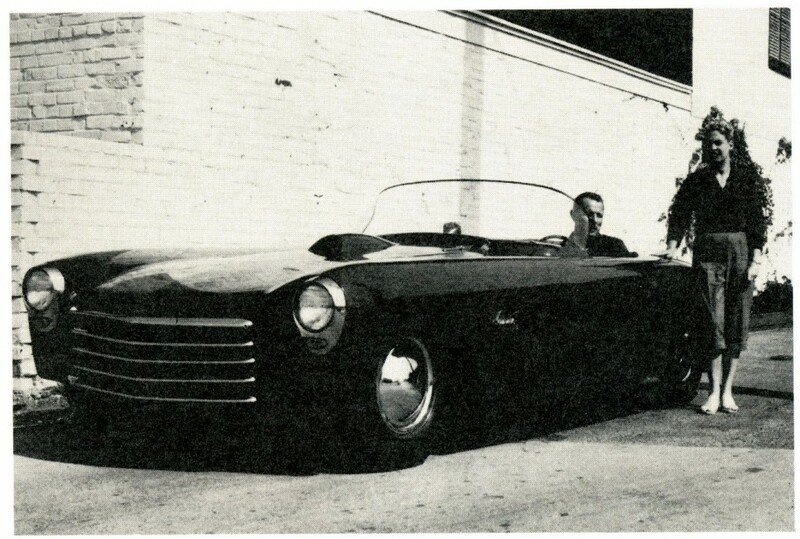 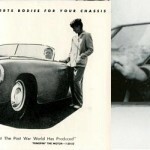 I have been trying to figure out what the car is in the 1955 Ozzie and Harriet episode called “The Sports Car” Could this be a lancer, some features are very similar. 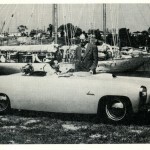 I put a you tube link to the TV show in the website field below.